SO COULD IT REALLY BE TRUE THAT ANGELA’S CONSCIOUSNESS HEALED HER BRAIN? YES! In fact, the best scientific understanding of how consciousness works clearly validates the idea that Angela (her consciousness, her spirit, her gaseous vapor of a soul, whatever words you feel most comfortable with) healed her own brain from a vantage point outside of her body. Wow Dr. Morse! Did they teach you that at Hopkins? Or is that statement really the result of, shall we say, a bit too much extracurricular artificial brain enhancer use? Although it is true that when I was a kid I did smoke marijuana once or twice (but like Bill Clinton, I never inhaled) I still maintain that my statement that the spirit or soul of Angela Ronson healed her own brain is in fact a scientific one. Now why she did this, I have no idea. It took seven long tedious incredibly difficult painstaking years, and she still hasn’t repaired the links between her brain and her body. Virtually all other humans throughout history simply moved on to a new brain, and “rebooted time” as Robert Lanza MD likes to call the process of re-incarnation. (Lanza is arguably the world’s smartest medical scientist) Think of all those miles and miles of myelin sheath Ms. Ronson had to laboriously re-knit to heal and reconnect her severely damaged brain. 1. That the timeless spaceless and conscious quantum non-locality that the theoretical physicists speak of is something that is both real and directly connected to the human brain and consciousness. 2. Memories, in fact, all knowledge and information exists OUTSIDE the human brain and that we have the ability to access that universal source of memory. It has been known for over 100 years that the human brain has a specific area in it that allows us to have the experience of communicating with a “god”. For some odd reason, this area of the brain, the right temporal lobe (and associated hippocampal and other brain structures) was considered the source of “hallucinations” of god and religious ecstasy. Huh? 1) We have a specific area of the brain, the occipital lobe, which we use to create the visual images we call “reality”. I have never heard the same reasoning applied to the existence of the occipital lobe. I have never heard anyone say that obviously this local visual reality is a hallucination because we have a huge portion of our brain dedicated to creating it. 2) Why would we have evolved nearly 1/3 of our brain and associated other pathways and structures involved to simply give us a hallucination of a non-existent “god”. When books such as The Basis of God Beliefs (Persinger), Religious and Mystical States: A Neuro-psychological Model (D’Aquilli and Newberg), The God Area of Brain (Alpert) attempt to explain why we would evolve a hallucinatory god experience area of the brain, they go through such amazing mental contortions that I am surprised that they can write it without bursting into laughter at themselves. For some bizarre reason, if its about god, then it’s just in the brain and not real. Everything else that we experience and create in our brains is “real”. Well GET REAL Persinger, Andrew Newburg, Michael Shermer, Mathew Alpert and the rest of you sloppy scientific thinkers, experiencing god is just as real as any other human experience. 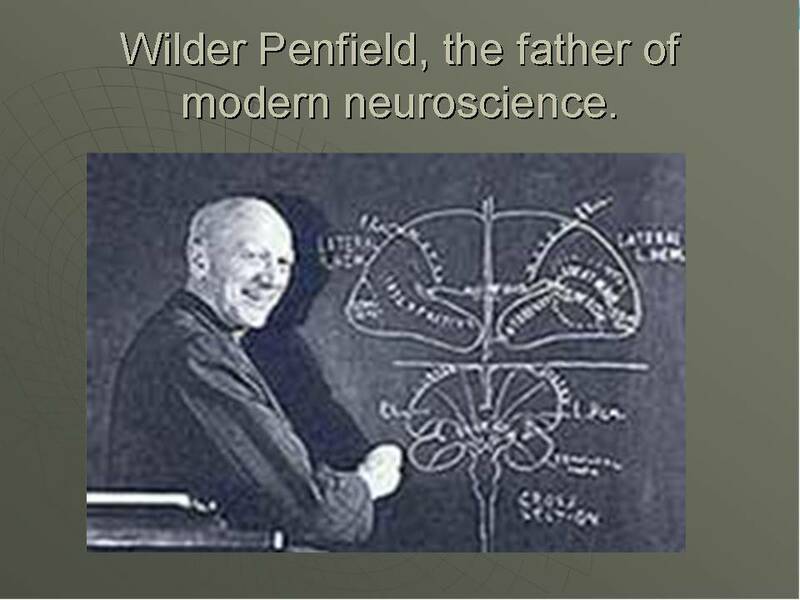 Wilder Penfield, the Father of Modern Neurosurgery, mapped out much of what we know about how the brain works by directly stimulating the brain in conscious patients undergoing Neuro-surgical procedures. Since the brain itself doesn’t feel pain, patients can be awake during surgery. When he would stimulate the motor areas of the brain, they might move their arms. 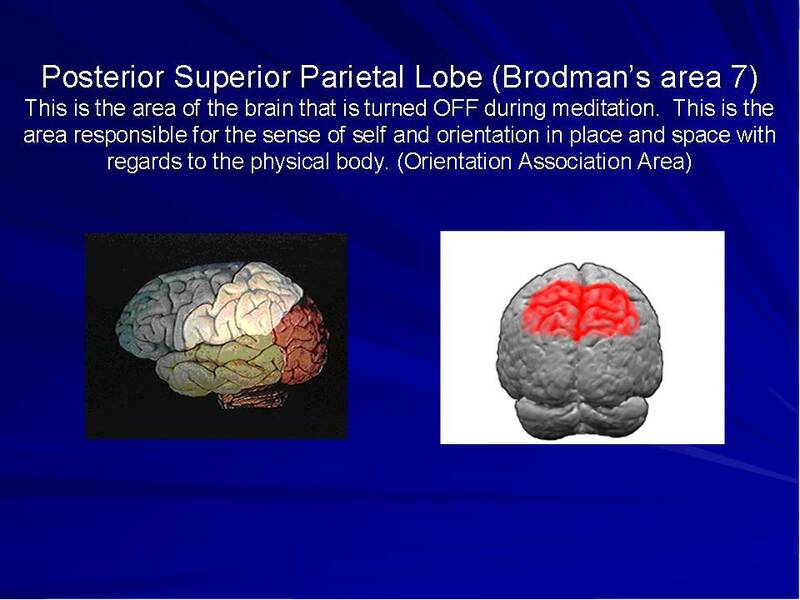 When he stimulated the areas of the brain in the top right picture, the deep right temporal lobe, patients said things such as “oh god, are you there?”, or “god, I am leaving my body (and coming to be with you”, or even more intriguing “I am out of my body, no, I am half in and half out”. Penfield, of course, at the end of his career determined that the brain could not account for consciousness, and that consciousness must be independent of brain function. It is my speculation that this area of the brain in fact permits us to interact and communicate with what physicists call “non local” reality. This is a theoretical model of reality that states that all of the information in the Universe that ever was and ever will be is “non local” meaning that it exists independent of time and space. This is the current theory of “reality”. When the children who have had near death experiences ask me if what they experienced was “real”, this is the current scientific model of reality that I have to use to judge the reality of their experience. In Mario Beauregard’s brilliant book Spiritual Brain states that there is in fact no “god spot’. This is simply because Dr. Beauregard who is a lot smarter than me, says that in fact the entire brain is the god spot! I have learned a lot from Dr. Beauregard and he has helped me with a number of my studies. I don’t see a significant difference between my limited idea of a god spot, and his conceptualization of a brain as the god spot, in terms of how Angela Ronson healed her own brain. THE NEUROSCIENTISTS ARE SIMPLY LATE FOR THE PARTY! SCIENCE HAS THOUGHT THE UNIVERSE IS CONSCIOUS FOR A HUNDRED YEARS! According to the theoretical physicists, this “non local” reality is conscious! Conscious! You bet! As one of them famously said “if you are not totally blown away and astonished by quantum physics, then you don’t understand it”. It seems just about every famous physicist has written in their off laboratory hours a book stating that reality is conscious and that we routinely interact with it. In fact, they go further! They claim that our interactions with reality actually change its fundamental nature! Henry Stapp,( Mindful Universe), is but one of many such thinkers. So Speculation 1, that our brains are linked to a greater timeless space-less all knowing information containing reality turns out to not be so speculative after all. In fact I had dinner with Amit Goswami (The Quantum Activist Physicist) and Peter Fenwick (Neuropsychiatrist and all around genius) a while back. 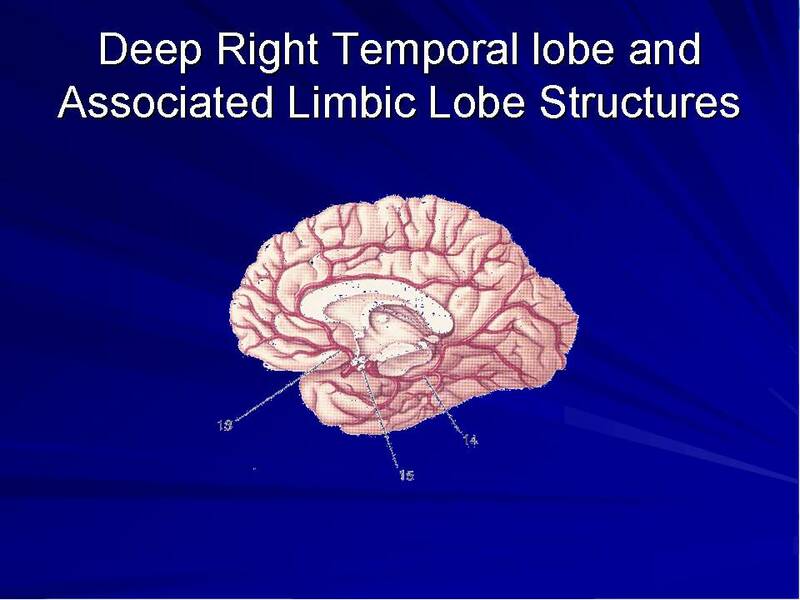 Peter Fenwick was kind enough to tell me that my theory that the right temporal lobe is our connection to the physicists Non-local reality was “a good first try”. Then Drs. Fenwick and Goswami, within 2 hours, roughed out a coherent theory of exactly how our brains could be connected to quantum non-locality. As Peter Fenwick concluded, “well its just a giant math problem now”. Wow, we are just a giant math problem away from understanding exactly how Angela Ronson could have healed her own brain from the vantage point of being outside of her body, according to the some of the foremost scientific thinkers on Earth today. BUT WHAT ABOUT MEMORIES EXISTING OUTSIDE OF THE BRAIN? 1) Fred Lashley, the Father of Modern Brain research, at the end of his career stated “If I didn’t know better, I would think memories were in fact stored outside the brain. 2) Alan Gauld in Irreducible Mind(The most recent and outstanding textbook of conscious and the brain) states that the concept that memory is stored IN the brain is simply a neuroscientific dogma, without any evidence to support it! He calls it a myth! 3. Frick, in his excellent book The Astonishing Hypothesis, dramatically concludes the book by demonstrating how sea slugs might have simple memories in their rudimentary brains! Not exactly compelling evidence that memory is in the brain. Granted Frick’s book was written in 1994. Well Scientific American’s Dictionary of Science, written in 2007 states that we are just learning about memory and brain function, without any other details! So, although my theory of how Angela Ronson healed her brain might be speculative, here is some evidence that no less an authority as Scientific American is moving towards my point of view! 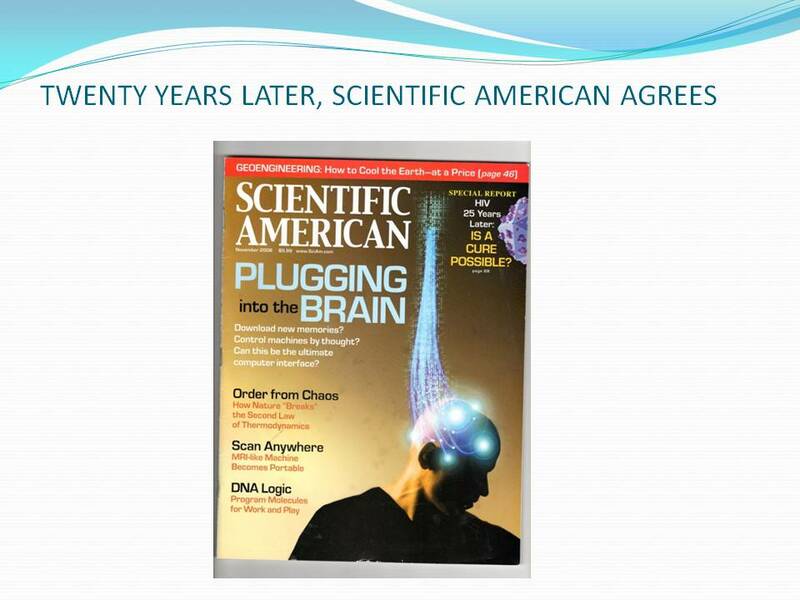 20 Years Later, Scientific American Agrees! I doubt the Editors of Scientific American would say that they agree with my theory of how our brain could connect to the Universe. However, the two covers are remarkably similar. The Scientific American article is on how memory can be downloaded from the brain. They review the research of Boston memory researchers who have created a Mouse Earthquake memory and then downloaded and stored it in a computer. Well give me a break SciAm, I know that you are the home of Skeptic Michael Shermer, but if we can download memories out of the brain, then it certainly is reasonable to speculate that we can upload memories into the brain as well. In fact, when is Michael Shermer going to stop taking on easy targets such as people who invent telephones to talk to the Dead, and start addressing some of these issues? 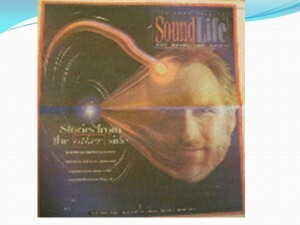 I hesitate to say this too loudly, as I don’t want Sci Am to retaliate and cancel my subscription, but the premiere Skeptic of our time, a man who wrote the brilliant Borderlands of Science which is a blueprint of how a fringe science might become respectable, has a responsibility to take on more challenging subjects and help us to understand them. Perhaps my theories and speculations are all wrong, but I am convinced that any sincere process of discrediting them will help us to understand what is really going on! Instead, Michael Shermer is content to let his Internet Science Fundamentalists viciously attack scientists such as Terrance Witt (he wrote Undiscovered Universe – an alternative explanation to Quantum Physics click here) by endlessly chanting “crack pot, crack pot” over and over again without any other critical comments. No less an authority as Roger Penrose in The Road to Reality said that brilliant outsiders (such as Terrance Witt) might reinvent physics and that quantum physics may be flawed. This is an important issue, as fundamental to understanding how Angela Ronson could have recovered from a seven year coma and semi-coma with her personality and memories intact is our fundamental understanding of what is real! We must ultimately look to science to help us to understand what is real, while not neglecting that spiritual insight and intuitions are a second form of knowledge just as important. Spiritual neuroscience is our first step at understanding what is “real”. It is the scientific understanding of how the brain actually works, and how that might help us to understand our spiritual perceptions and rational understandings. We, in fact, have two brains, with two independent consciousnesses, which work very differently. 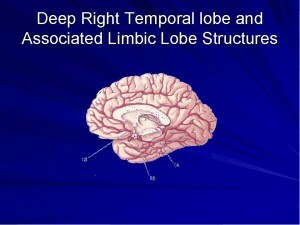 1) The left brain is rational and logical and responsible for analysis and judgment. This is essential for science. It is also essential for our primary mission here in this reality: to learn our lessons of love. Learning lessons involves judgment and analysis. However, the left brain has a deep flaw, in that in its zeal to understand, it will simply make stuff up! If it has no data to interpret, or is given inaccurate data, it will simply make things up to explain the data, or no data, and believe what it has made up to be true. Just as true as an scientific deductions. When I was a medical student, we would splash water on the hands of patients who could only perceive the world through their left brain. 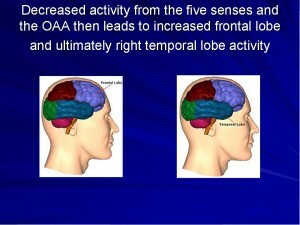 The sensory input of the water would go to the areas of their right brain which no longer properly worked. The patients would seamlessly tell us things such as they got wet because it was raining outside, or that they accidentally spilled water or even urinated on themselves. No amount of showing them what really happened would shake their beliefs. This is what has happened to Michael Shermer and his Skeptical colleagues. They are brilliant left brain thinkers, but they have ignored or misinterpreted the raw data, and have made up a version of reality that they now believe to be true. In controlled remote viewing, we call this process “making sand castles in the air”, which is the remote viewing equivalent of the left brain reaching completely wrong conclusions. 2. 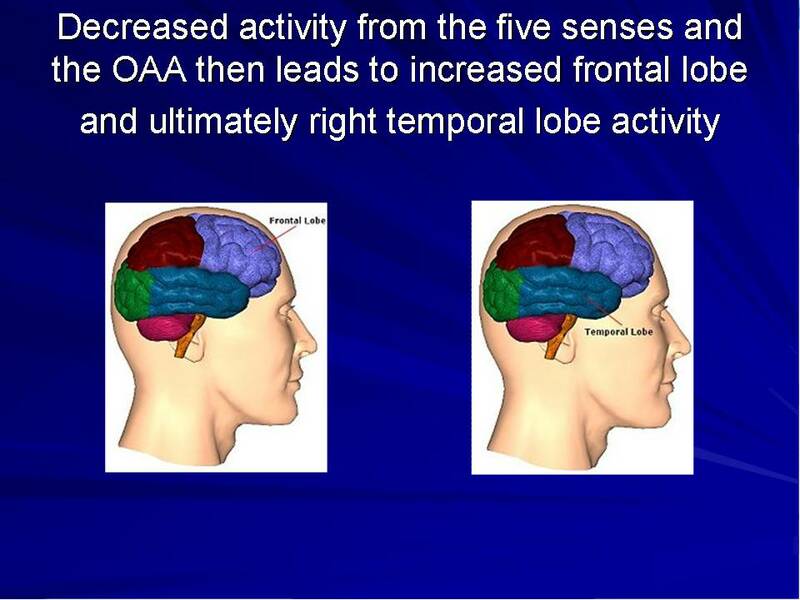 The right brain is often pure sensory and emotion input without any filter or rational analysis. It will compile lists of information. It can draw a picture with all the various parts of the picture, but has a hard time putting the various pieces of the picture in their proper location. It is relatively non-verbal. It operates primarily on intuition, symbols, pictures, and concrete images. Right brain and Autistic writer Temple Grandin does an excellent job of describing how she doesn’t have an abstract concept of “dog” that most of us have, but rather a library of hundreds of pictures of individual dogs in her mind that she reviews whenever someone asks her about a dog. The right brain can reach just as startling wrong conclusions as the left brain, but in a totally different manner. Perhaps Jonas Salk did not receive the information about the Salk vaccine from aliens. Perhaps in fact that was simply right brain knowledge that he obtained through intuition. Without any left brain analysis or input, it would be easy to make a quick association “oh it must have been an alien who told me” and then never rationally examine that association again. What Pauline and I have learned through the process of Controlled Remote Viewing, I would be inclined to think that Salk did in fact simply misinterpret a right brained event. Certainly we have done the same many times in the process of learning remote viewing. Regardless, as the German Kekule, the Father of Organic Chemistry said “Gentlemen, dream, dream, and then take your dreams to the laboratory and (see if they are true, if they stand up to scientific scrutiny). Kekule had a famous dream of snakes eating each other, which gave him the insight as to the precise chemical nature of the Organic Ring. However, it was by using both his right brain intuitions and then his left brain analysis that he changed modern chemistry forever. In fact, inspired by Borderlands of Science, our research team is validating my initial intuition and speculations in the scientific arena. Twenty years ago I did the first prospective clinical study of near death experiences. 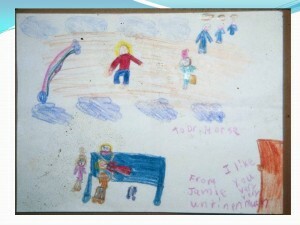 It was also done in children. It was published in the American Medical Associations Pediatric Journal. This study was replicated by Pim van Lommel in adults, and he published his results in the Lancet. Jim Whinnery MD has demonstrated that near death experiences can be replicated in the laboratory environment in fighter pilots exposed to high G forces. There is no doubt now that science has documented that near death experiences are real, and occur to dying, dysfunctional, and let’s fact it, dead brains. We have since then done studies documenting that energy healers can influence the electronic white noise created by semi-conductors at the same time that they can raise the white blood cell counts in severely ill patients. We have shown that health care professionals can be taught intuition and can remotely determine if a plant has a virus or not, through non-ordinary perceptions. We have or are in the process of again publishing in mainstream medical and scientific journals. We use scientific protocols that other scientists can use to replicate or refute our findings. My personal dream is that my theories and speculations are proven by other scientists to be completely wrong. Because in that process, we will learn what is right. However, the fundamental raw data, the knowledge that our consciousness can interact with a timeless space-less source of knowledge, and exist independent of our brain, is now a scientific fact, no longer speculation. Quantum theory is simply a mathematical model. However, these are people who have directly experienced the reality that Angela Ronson was in, when she tediously and laboriously undertook the task of healing her severely damaged brain. While in coma, she had the equivalent of a near death experience. Certainly Brodman’s area 7 was turned off! She had massive damage to that area of her brain! Her consciousness persisted even though her brain was not functioning except at a brain stem level. We know this occurs, as one child told me of her experience with a dying dysfunctional brain “I wasn’t dead. I wasn’t dead at all. I was alive!”. Or as another child that I had to inject into her heart adrenalin just to restart it told me “I was never so alive as that time that I was dead”. Angela then entered into that realm of all knowledge, that quantum non-locality that theoretical physicists believe is real. Instead of just doing the smart thing, waiting around for a new brain, or whatever the process is when consciousness “reboots”, Angela decided “what the heck, waste not want not. I have a perfectly repairable brain. I am in the realm of all knowledge, so the blueprints to my brain and how to repair it exist here.” Maybe she channeled Jason Snyder as he will be 50 years from now and further perfected his research on functional neurogenesis! Maybe then Jason talked her into it to prove his functional neurogenesis theories are correct, in this timeless space-less all information realm. Maybe now she doesn’t want to tell Jason “thanks Bud for the heads-up on how to heal my brain” because he hasn’t done the basic research yet in this time dependent reality. All of that IS silly speculation on my part. Probably, since time doesn’t exist in this all knowledge state, Angela didn’t realize that it would be seven long excruciatingly difficult years to fix her brain from the original DNA blueprints. 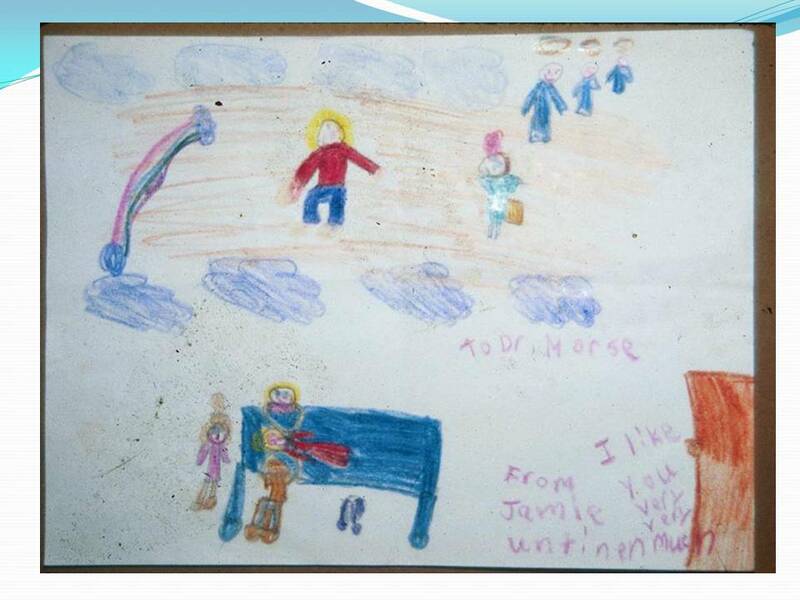 One child told me of his NDE, “it could have been a minute, it could have been a hundred years”. Let’s fact it, Angela, maybe you just blew it and didn’t realize how hard it would be. Just because it was a spiritual decision doesn’t mean it was a good decision! Or maybe you just wanted to prove to the rest of us that it could be done. Perhaps you wanted to inspire us, to shake us out of our materialistic slumber and help understand our connection with the divine. Regardless Angela, welcome back. We need you here, to help us to understand our connection with the divine. You have helped so many with your inspiring story and your lessons of how to cope with disability, practical aspects of dealing with insurance companies, the government, and the grueling process of rehab: what works and what doesn’t. As most of my readers know, Angela is an Investigative Reporter for Spiritualscientific, she has tackled silly topics such as the true meaning of the “Bacon Angel” to the most profound. She recently reported to us that math is the glue of the Universe, and is the spiritual equivalent to the Christian concept of the Holy Spirit, in our lives. That is a profound statement of the scientific (math) spiritual (Holy Spirit) connection that we all need to understand better. Thank you Angela Ronson, for making the effort to fix your brain and returning to this life. Well what about Agela’s rapid hair growth? Is this a marker for recovery from stroke and severe brain damage? Uh, well enough speculation and brain twisting for this blog, I will address that in a future blog. This entry was posted in Angela Ronson Part 3, How our brain is linked to the Universe, Science and NDEs, Science of NDE and tagged consciousness, controlled remote viewing, god, Jonas Salk, Michael Shermer, near death experiences, out of body experiences, right temporal lobe, Skeptics, spiritual neuroscience, Wilder Penfield. Bookmark the permalink. Wow! Breathtaking inspiration and encouraging scientific progress all in one! I too am grateful that Angela healed her brain and came back to educate us. Existing in the brain does not make something less than real. Dreams are in the brain. So are our emotions, our hunches, and our imaginations. So, it seems, is God. All of these offer very real experiences that cannot be shared with others, and whose existence can only be ‘proven’ through brain imaging. No other evidence can prove that any specific dream ever happened. Experiences that happen only in the brain are very real. Saying that God is a real experience doesn’t address the question of whether it’s happening only in the brain. I think, Dr. Morse, that you may need to use the phrase “objective existence” more often. If the researchers you disagree with on this page are right, then God has no objective existence, though the subjective experience is very real. “Real” enough to alter the personalities, emotional habits, and ways of thinking for those who have it – by making many (very many) very small changes in the brain. According to Persinger, we all live in the earth’s magnetic field, which allows communication between brains, though usually during dreams. However, this supposition does not mean that information exists outside the brain rather than in it. The bulk of the information that influences you would appear to be in your brain, but some of it is outside it. The magnetic component of consciousness could also exist outside the brain – if the earth’s magnetic field serves as it’s medium. So also could those of memory. I was born in 1948 , suffocated in the womb with eather/ held back for 30 minutes when i was crowning, double hernia in 55 eather again , and tonsels after that with eather , I believe that these events left5 me stuck between worlds . I am a non reductionsit and live in the Quantum , I would like to know what new understanding of tech on non local mind could be employed , to better integrate me in this time domain/ incarnation . Thank You for your open mind and knowing in your work . I uste to by locate and remote view like a basket ball bounces , i uste to Bi locate as fast as I could think , so I kept private about my life so people would not think i was so weird.